Ways to Make Extra Cash - How Can I Make Extra Money at Home Fast? Ways to Make Extra Cash – How Can I Make Extra Money at Home Fast? Need ways to make extra cash, and fast? These are my favorite, tried-and-true, ways to make money at home ($100s per month). Let me ask you this, if you had to find a way to earn an extra $250 in cash this month, how would you do it? Would you even know where to begin? Anything else on your list? I want to offer you lots of ways to earn extra cash in this month and next (on repeat), so that the next time you either a) need to earn more because you have to pay your bills (or unexpected bills), or b) WANT to earn more so that you can turbo-boost savings, you can. Bonus Tip: when’s the best time to set one of these income-producing machines into motion? When you’re not needing the money. In other words, you should sign up for some of these programs below and start learning how to earn extra money in your life today, so that next month and the month after you’re not stressfully running around trying to figure out how to make an extra $250. If you just spent one hour EVERY month taking action on this huge list of ideas I’ve given you, then you would see AMAZING progress on your ability to earn extra cash from home. Need to make extra money at home, fast? I've got a quick list here to pay attention to that can get cash into your hands the fastest. Then, be sure to sign up for offers below here so that you don't find yourself in a position of needing money immediately and not being able to get your hands on it in the future. Shop through TopCashBack: This is the only shopping portal from below that gives you rebates with NO minimum payment threshold (meaning you can ask for a cash-out at anytime). Sell Your Blood Plasma: Go here to find a plasma donation center near you, and get compensated between $20-$50 for your plasma. Sell Belongings on Facebook Buy Groups: Find a local buy group near you, join it, and then start posting things to sell from your home. You'd be surprised how much money you can rake in today, tomorrow, and this weekend by people picking up your stuff and handing you cash. Take Part in a Clinical Study: My friend spent a weekend in her 20s taking part in a sleep study, and walked out with a $300 check. Here's a listing of over 300,000 clinical studies across the U.S., with updates daily. If you have a specific health condition, go to this page and scroll down to do a search of research studies by health condition, or CenterWatch.com. Sell that Car Sitting in Your Lawn: See below. Need to Sell Your Beater Car (or Used Car) QUICK? Boy do I have a cool resource for you. Peddle.com offers a convenient way to get a quote for your used or beater car (I received a quote of between $1,190 and $3,100 for my last beater car). You can also call this number: (833) 841-1104. 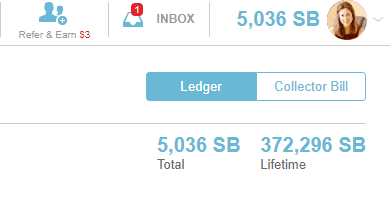 That was 10 years ago (March 14, 2009), and I’ve since earned a total of 372,296 Swag Bucks, which has translated into $3,700 in cash to my PayPal account! That’s roughly $370/year, which in my world, equals the cost of a weekend getaway with my family. Note: I’ve earned a decent chunk of that through referring others (and if you click my link, you’ll help me earn more!). You can also earn Swag Bucks quicker by using your unique referral code and getting friends and family to sign up. Ease of Earning: Really easy. You simply need to create your account, then use this search engine to search the web instead of Google’s. Earnings will start showing up! eBates: You get $10 (payable through PayPal) from eBates just for signing up. This is a shopping portal, and you just do your normal online shopping (or even in-store shopping, through a linked card in their system) and you automatically get rebate percentages on what you purchase. However, you should know that this welcome bonus is only for new members who make purchases (on things you’d already purchase) of $25 within your first 90 days of signing up. Payments are sent out quarterly. Pro Tip: If you’re anything like me, you either forget to go to the eBates website or you don’t like the inconvenience of first going to there to get your credit when online shopping. The simple solution is to install their free chrome extension, which will automatically tally your rebates FOR you as you shop. Not only that, but it alerts you if you can find the product CHEAPER somewhere else, plus any coupons you can apply at checkout. SCORE. Mr. Rebates: This is another shopping portal that gives you rebates back through your normal online shopping (amounts are by percentage). You can download and install their free chrome extension to automatically tally your rebates as you shop online. You can also earn $10 for each friend that you refer! That can add up quickly, especially if you find a deal that you know your friends will love and you pass that onto them, with your referral link. Hint: the reason why you might want to use more than one? They each offer a different percentage in rebates for each retailer. So, for example, on Amazon.com, you can get up to an 8% rebate through Mr. Rebates, for only up to a 5% rebate from eBates. Something that's nice with this shopping portal that gives you rebates? There's no minimum for payout. So, you can get paid as quickly as you'd like! They also offer a bonus on your payout if you get your cashback in the form of a Visa Prepaid card, Amazon.com Gift Card or American Express® Rewards Card. Again, you can earn $10 for each person you refer to this site. That could be a nice side hustle, without you even needing a blog! Do you like to window shop when you're bored? This could be the cash-earning app for you. Shopkick is a bit different than the others above because you can actually earn “kicks” (points) by going to stores and scanning items. That's right — no need to buy the item! Could be a fun thing to do with kids. Also, they only offer gift card payouts, and not actual cash. You can also earn money online by going to stores and looking at offers (that's right – no need to buy), though you'll earn when you make purchases as well. Did you know you can use a company like HealthyWage to bet on your own weight loss, and possibly win up to $10,000! The amount you win depends on your current weight as well as your goal weight to lose. Your profit % can be as high as around 300% (tripling your money) or as low as 11% (if you are already at a healthy weight). Playing with the calculator is part of the fun. You heard me right. You can join up as an individual, or as a team. Here are several women’s success stories you can check out. Use your FitBit or other approved steps-counting app and earn money for the steps you take and going to the gym through apps like SweatCoin and GymPact. SweatCoin lets you earn 0.95 sweatcoins for each 1,000 outdoor steps you take (it won't work on a treadmill – it’s measured by GPS), and on days when they have a PayPal cash out, you can get a cash payout. GymPact pays generally between $0.50 and $0.75 per workout commitment (that you keep). You sign up for your account, verify your email, then start taking surveys to see if you qualify for research projects. After you fill out a qualification survey, you’ll be notified by text or email if you qualify. Bonus way to earn cash: What do I really love about this one? You can find research interviews that you think your friends/family/colleagues would qualify for, then send them your personal referral link to see if they do. 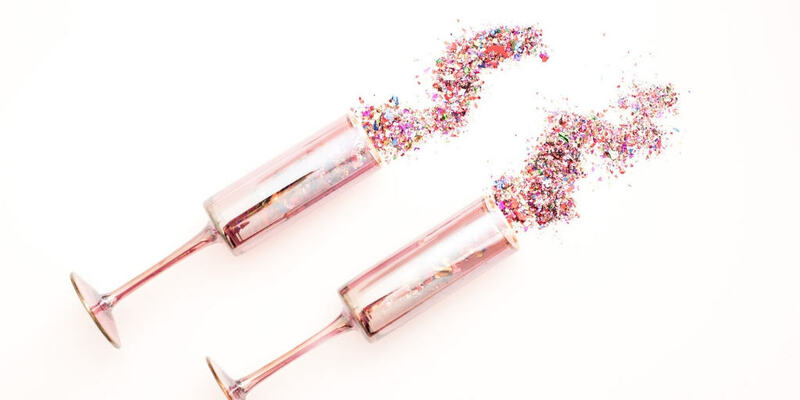 You get $50/successful referrer! Could be a great extra money-maker for you. I personally was able to earn $27 towards our honeymoon savings goal by doing online surveys. One of the sites I used was Survey Junkie, and I mainly completed the surveys while we were sitting around watching television, anyway. Much better use of my time! You can expect either to cash out with Paypal, or to cash out with gift cards. Did you know that there are legitimate companies out there looking to talk to YOU about your experiences in life? I’ve been part of several in-person focus groups over the years. Notable ones include earning $125 for a one-hour focus group on haircare products, and $175 for an in-store survey about shopping for a car seat (this was perfect, as I was literally in the market for a convertible car seat, since our baby was going to be too big for his infant one in the coming months. So, I used the $175 to mostly pay for it, and three years later we’re still using it). Interested in doing mobile video surveys with your cell phone about products? Then this could be a perfect match for you to make some extra cash. You sign up, and fill out some information about yourself (including uploading a video so that they can see if your video works and everything). Then, upon acceptance, you can start applying for video surveys. Each video survey takes less than 10 minutes to complete, and you get paid $50/survey via Paypal. You might also want to follow this reddit group that’s continually updated with nationwide studies for focus groups. If you’re like us – an IT professional and a blogger – then you have a stash of used electronics sitting somewhere in your house. The longer they sit, the less money you can make back on them. That’s because they lose relevance as the tech and digital world create new and better products at a dizzying pace. Use these companies below to score money back on your old electronics. Go to each site, plug in your phone’s information, and see who offers the best price. Gazelle (this place also has an ecoATM – we’ll discuss in a separate section). Decluttr (Be sure to check out their coupon codes to bump up your earnings! Trying to cash in your old cell phone? You’ll want to read up on my tips for how to cash in your used and broken cell phones. BuyBackWorld: This place buys a whole bunch of different types of electronics. Such as digital cameras, tablets, gaming consoles, iPods, smart watches, Apple accessories, GPS, calculators, video cameras, camera lens…and lots more. Take a look around, and clean out that electronics closet of yours! Amazon.com: Amazon has a used electronics trade-in program where you can get a free Amazon gift card offer. Shipping is free for you. GameStop Trade-in Program: These guys will give you cash or credit for electronics like gaming systems, gaming system accessories, tablets, etc. com: These guys buy game consoles, tablets, Kindle, and wearable electronics (from Apple or Samsung). Be sure to check out their coupon codes to bump up your earnings! ItsWorthMore: These guys will buy laptops, Apple watches, and tablets in addition to smartphones. I’ve got an entire article written about how to get cash for old appliances. Did you know you can make extra cash and even an actual income by taking scrap metal to scrap metal yards? I've dabbled in this myself, and my brother-in-law used to do it routinely. I've created an ultimate field guide for how to scrap metal for extra cash. 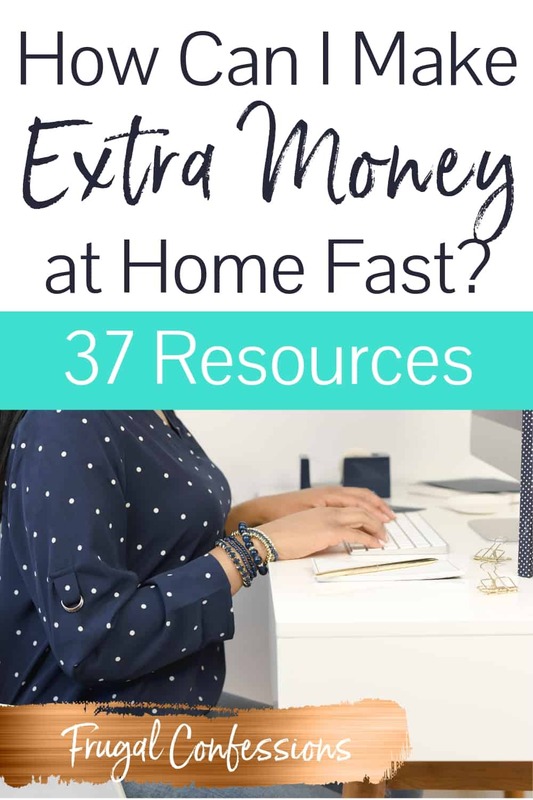 https://www.frugalconfessions.com/wp-content/uploads/2019/04/Ways-to-Make-Extra-Cash-How-Can-I-Make-Extra-Money-at-Home-Fast.jpg 512 1024 Amanda L Grossman https://www.frugalconfessions.com/wp-content/uploads/2019/02/frugal-confessions-logo-340.jpg Amanda L Grossman2019-04-01 05:00:162019-04-13 14:06:23Ways to Make Extra Cash - How Can I Make Extra Money at Home Fast? 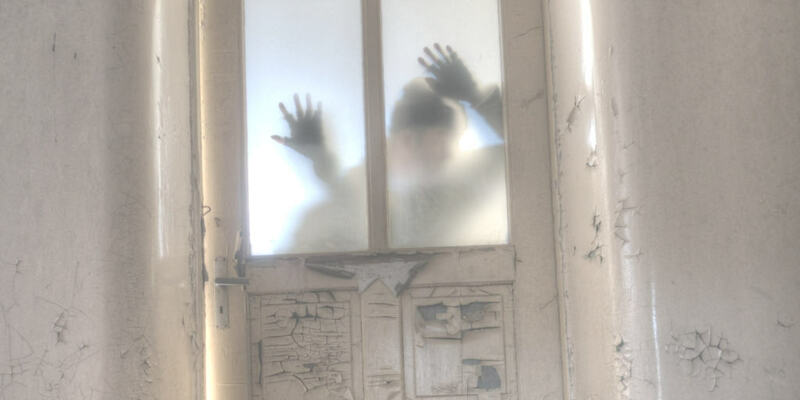 Zombie Debt – How Long Can a Company Try to Collect a Debt?